Promote China programs to the campus and the Western New York community through public lectures, exhibitions, newsletters, and website. Assist the International Student Affairs and the International Education offices on campus with services and support for visiting scholars and students from China. Facilitate exchanges of Chinese scholars to Buffalo State and Buffalo State scholars to Chinese higher learning institutions. Assist Buffalo State's Study Abroad Programs in China as well as Chinese language teaching. Coordinate on-campus research programs related to China. Help educating the faculty, staff, and students on campus and people in the Western New York community being aware of China and Chinese culture. Help training professionals in China in the field of education, business, social sciences, and other needed subjects. Provide consultation on research and business opportunities and environment in China. Seek opportunities for external funding to conduct China programs.  Facilitate the recruitment of students from China to Buffalo State.